We frequently mention the importance of seeking out self-defense training in our articles and videos here and today I wanted to take a minute to look more closely at exactly why it’s so important. There is a great personal benefit to being better prepared, but it’s more than just that. Training doesn’t happen in a vacuum — the more gun owners who have a couple of solid self-defense classes under their belt, the better off the whole community will be. More thoughts in the video, or read the full transcript below. This past weekend I went out to Texas for Tom Givens’ Advanced Handgun Instructor Course, so lately, I’ve been thinking a lot about the subject of self-defense training. In particular, I’ve been considering why more gun owners don’t ever pursue training and how we can get that to change. Realistically, out of the millions of Americans who own a firearm for personal protection, very few will ever seek out any kind of formal training at all. The gun comes from the store and goes straight into the sock drawer or the back of the closet and it’s just a thing they own so they can check the self-defense box and forget about it. A few of them might take a crappy state-mandated concealed carry permit class, but they’re in the minority. The great masses of gun owners are grossly under-trained, and I don’t expect that to change. But I want to make a distinction between gun owners and a smaller group of people I will call gun enthusiasts. And if these people started taking training a little more seriously, I think it would have a huge positive trickle down effect on that first group. Most of you guys who are watching this are probably in that gun enthusiast category. You read gun blogs, you watch gun videos. You enjoy going to the range when you can. You have at least some interest in self-defense and you actually carry your gun sometimes… maybe even most of the time. But when it comes to self-defense training, most of the gun enthusiasts I talk to seem to view it as unnecessary because they think they probably know enough to get by just from what they’ve figured at the range on their own. 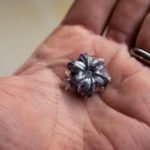 A lot of people tend to think of formal training as something that is reserved for the tiny fraction of a percent of gun owners who we might call training junkies. The guys who take multiple shooting classes every year, and practice at the range at least once a week — the people who have essentially made a hobby out of self-defense training. I don’t expect most gun enthusiasts to join that group, but I do believe they still need to seriously consider investing in at least couple of relevant training classes. One of the big reasons is that if you haven’t had any formal training, you don’t know what you don’t know. There is a difference between learning to shoot a gun and learning to prepare for what could possibly be the worst day of your life. A good training class will show you the skills that are necessary to prevail under the conditions we typically see in violent encounters. Even if you think you’re already a pretty good shot, it can be very eye-opening to go to a class and have those skills evaluated against some objective standard with a little bit of added pressure. Another reason I think training is really important is for gun enthusiasts is because you are most likely the go-to person for shooting information in your circle of friends and in your family, and a lot of people are going to conflate that gun knowledge with self-defense knowledge, whether you have any actual training in that area or not. When people in your life ask you to take them to the range and they ask you for advice about getting a gun for self-defense, you need to be able to give them something more useful than just a lecture on the difference between a 1911 and a Glock. You need a much broader understanding of self-defense so you can give them good advice not just on the hardware issues, but on the software side of the self-defense equation. And for the people who come to you who actually are motivated to get some training on their own, it would be nice if you could recommend a teacher that you have first-hand experience with. So what kind of training should you be looking for? Ideally, you would take a class that can teach you the technical components of shooting and then combine that with the mental aspects of self-defense like mindset and conflict avoidance and criminal behavior. Unfortunately, those kind of classes are not the norm, but really, almost any training is better than no training at all, so don’t let that stop you. 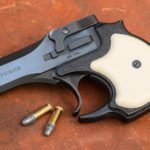 In most areas, you can at least find a basic handgun class that’s going to focus primarily on the technical marksmanship stuff, and that’s not a bad start — you’ll at least walk away being a better shooter and that’s always a good thing. 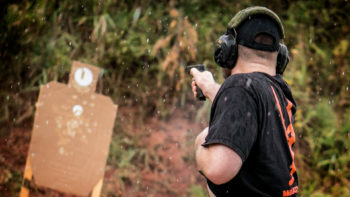 Real world defensive shootings actually do not tend to involve difficult marksmanship problems, but being a better marksman than you really need to be has a tremendous psychological benefit . The way Tom Givens put it is that practice builds skill. Skill builds confidence. Confidence prevents panic. That’s what wins gunfights. 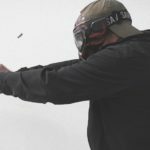 So there’s nothing wrong with training with whoever you’ve got available locally, but if you really want to get the most for your training dollar, there are some world-class instructors who travel all over the country teaching a more comprehensive curriculum than what you typically might find at your local range. Craig Douglas teaches the Extreme Close Quarters Concepts course. This class is part shooting, part hand to hand fighting and part verbal agility and conflict de-escalation. Craig is really a master at what Bruce Lee would have called “the art of fighting without fighting”. He’s also a master at teaching you how to stab people and shoot them in the face. So you get a little bit of everything. And at the end, if you still have any ego left, Craig will call you names and steal your lunch money. I highly recommended it. Tom Givens, who I mentioned earlier, does some fantastic reality-based handgun and shotgun training and he also teaches some of the best material I’ve ever heard on mindset, preparedness, and criminal behavior. Those two guys are a couple of the best in the business, but there are plenty of others I could name. Any class that has the criminal psychologist Dr. William Aprill doing a lecture block is absolutely worth taking. I’ve heard some really impressive things about the curriculum that John Murphy is doing out of his place in Virginia. Darryl Bolke — who’s one of the contributors to our blog — he’s done some really serious historical studying about what actually wins gunfights. He and his partner Wayne Dobbs run some excellent classes out in Dallas. Rob Pincus is someone who I could find plenty of things to disagree with, but from what I understand of his classes, he actually has a very well-rounded approach to self-defense training. That’s just a few names to get you started. Here’s my challenge to you: even if you consider yourself a more casual gun owner, try to get out to a training class at least once every three years. Take what you learn there and go to the range for a serious, focused practice session once every six to eight weeks. And then find 10 minutes a week for some dry fire practice. That’s a pretty modest expenditure of time and resources, but if you do all of that, you will be way ahead of the curve.